These Custom Pins are uniquely yours. Your logo, your text, your lapel pin. Minimum of 100 pieces. 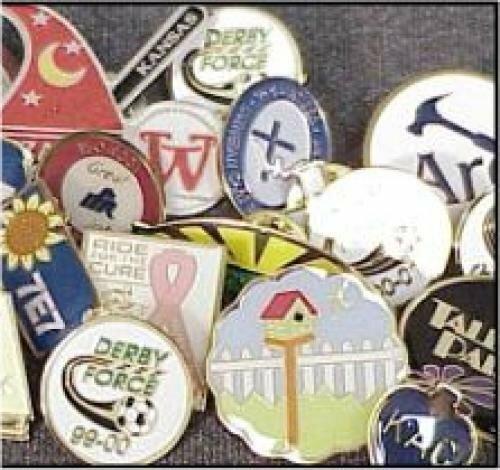 Due to the wide variety of custom lapel pin options, please contact us to begin your order. These can be made into any shape or size. Prices start at $2.54 each for 100 lapel pins 1/2" in size. The more you buy, the price goes down. Production lead time for this product is 40 days. This product has a minimum order quantity of 100.